OpenClassrooms is divided into several teams: Tech, Sales, Marketing and Education. As you can imagine, the Education team plays an important role here at OpenClassrooms. It's also the only team that you don't often see in a startup, because it's specific to what we do. 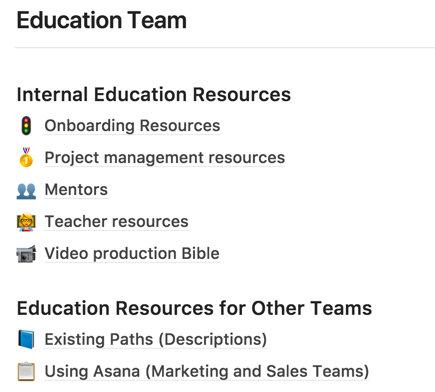 What does the Education team look like? How is it organized and how does it get its job done? Let's find out! Craft content: this is a big one. It involves conceiving, planning and creating text and course videos, as well as exercises like projects, quizzes and activities. Train and coach mentors: our community of mentors needs to grow and they need to be informed when something new is happening and when things are changing. They also have a lot of questions for us to answer! Plan education strategy: we need to consider which topics we will cover in the next 18 months, determine which jobs are in high-demand, decide whether to file a new certification request for a degree, or to partner with a specific brand. Ensure continuous maintenance: courses must be kept up-to-date. This can be a challenge, because many types of technology evolve quickly, but it has to be done. We're in charge of asking authors to update their courses when required, or of finding someone else who can update them. Luckily, our users contact us when they come across a mistake. It's interesting to note that the Education team name has changed several times, reflecting our company evolution. At first, they were called the "Editorial team", helping authors to produce technical books. After this they became the "Content team", mainly dedicated to helping authors design online content. Currently we find "Education" more fitting, as it refers to a more global mission, which involves building content and planning certification strategy in addition to training and coaching mentors. Education is more than just "content", even if the content is central: it's an experience. Instructional designers help our authors make their courses a reality. They work hard on finding the right structure for each course. They give advice on projects, videos, and proofread courses. They work with partners and with our internal authors. Authors craft courses and projects. While some authors work externally with our instructional designers, we tend to hire authors in-house (as full-time authors or as freelancers). The proximity helps us to be more homogeneous and coherent, and it speeds up the course creation too! Authors design the paths and courses, write the content and create the videos. 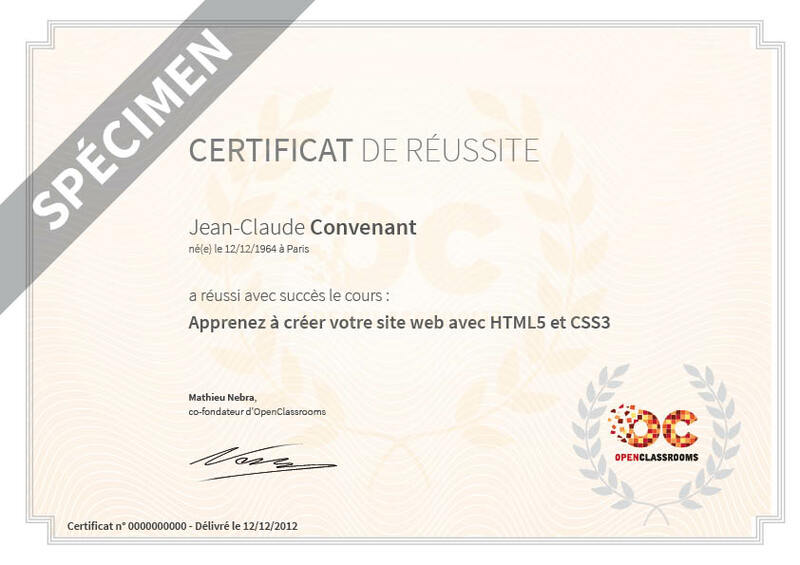 Certification engineers help us to build state-endorsed degrees. They have a strong knowledge and understanding of the certification processes. They have a global view of our strategy and can work on long term projects to enable us to offer different types of certification in the future. Mentor community managers are always connected with our network of freelance mentors. Their job is to find and train new mentors and to ensure communication between the OpenClassrooms' team and mentors. They provide information about path and course updates and are there to help mentors whenever required. Video editors are video specialists, who organize video shootings and edit the content to create great video courses. They work from pre-production to post-production on each course project. Over time, they have developed some instructional design skills, allowing them to make important educational decisions while editing videos. We host a few interns to help instructional designers and video editors. They help us with courses reviews, maintenance and video creation, while learning more about the profession. We also occasionally hire freelancers when the workload is high, especially for video editing. Also it's sometimes easier to find specialists this way (tech authors for instance). We're currently putting emphasis on collaboration. Previously, people used to work alone on their projects. Now, every project is completed with at least two peers (even if one of them is just giving some quick advice). This has helped us to better understand what other people are doing, while greatly improving quality output. This work process has been inspired by the Tech team, who are used to systematically "peer reviewing" each other's work. Charlotte is in charge of leading the Education team. 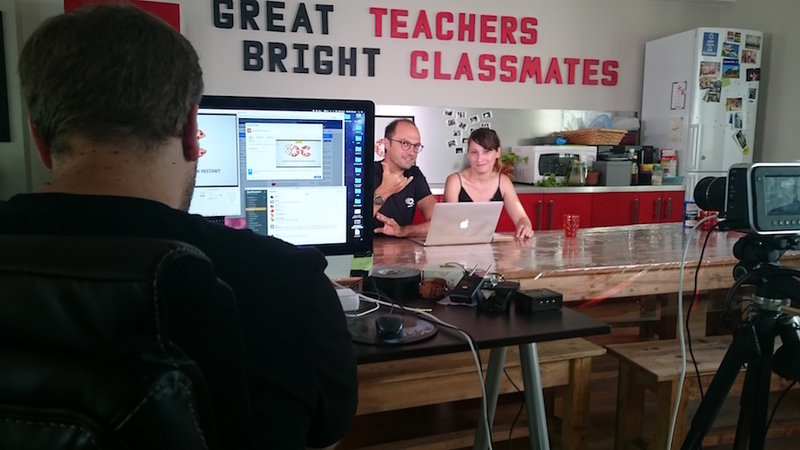 As a former head of masters at University Paris Dauphine, she has a lot of experience in handling the day to day issues of running a school... though at OpenClassrooms it's a challenge because it's an entirely new type of school! That being said, people have a lot of autonomy: they organize their week the way they like. As long as it helps us succeed in our mission, everything's fine! If we need someone to do something, we discuss this in order to find a volunteer. This works 99% of the time. In the event of a disagreement, the matter can be discussed with one of the co-founders, Pierre or Mathieu, but this is rare in practice. The Education team has few meetings, but they are important. Most of them occur on Tuesdays, every week. It has been decided to regroup meetings on a specific day, so that people can work remotely the other days if they want to. This is why Tuesday is the only day people are actually required to show up in the office. Production meeting (1 hour): every month, this meeting helps everyone stay in touch with what everyone else is doing. Everyone explains which projects they are working on, what the current deadlines are and whether there's anything new. We can rearrange who does what during this meeting. 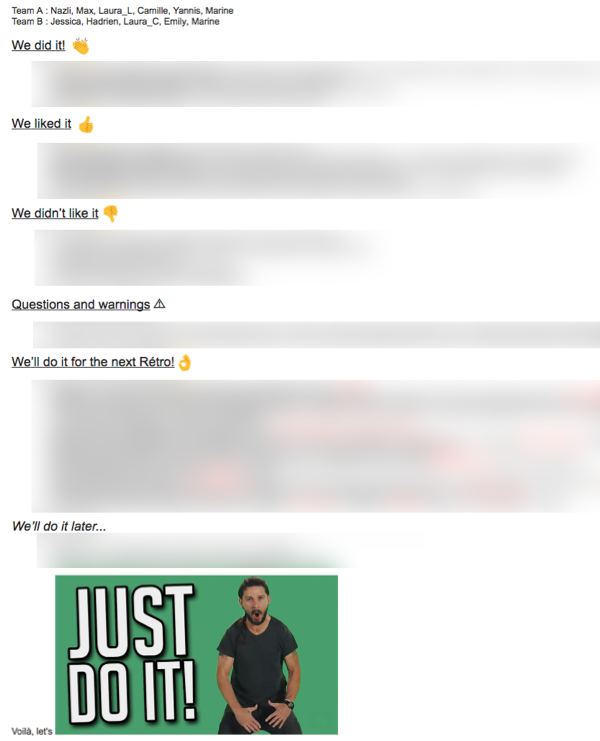 Retros (30 mins): every 2 weeks, this is a retrospective meeting borrowed from the "sprint retrospectives" in the Tech team. Inspired from agile methodologies, this is a meeting where we talk about how we work and not what we are working on (we already do that in production meetings). We freely express the factors that enabled us to do a great job, what didn't help and what problems we expect to encounter in the future. Then we decide what we are going to do for the next 2 weeks to improve our professional experience. Peer reviews (45 mins): we work in pairs to exchange about each other's work. The idea is to have some space to talk about what we do in more detail. We give advice, offering an external point of view. This helps people a lot when they're stuck and need to make a decision. It's also a way to exchange good practices. These meetings are informal and we try to keep them short by monitoring their duration. They can happen at any time in the open space or in one of the smaller rooms if we need a quieter space. ... and even how to inboard new people! Some parts can become obsolete overtime. If you see something obsolete, you must delete it. We want to keep it up to date, and newcomers have a role to play doing this. The Education team is a big fan of "tea time". People who like tea (or coffee, there are teams) regroup in the afternoon in the kitchen to enjoy a cup. Some people of other teams also join them. During these breaks, people tend to talk about a variety of topics, ranging from personal hobbies to professional discussions. In fact, some people continue to work with their computers, while others prefer to exchange ideas without any screen in front of them. People in the Education team tend to move a lot, especially authors. While everyone has a desk and a chair, you'll often see people standing up at their desks, in the kitchen or at the bar. You'll also see them sitting on a couch or even lying down. Sometimes, people also go to work in a bar in the neighborhood. There is a different atmosphere they like that helps them focus. Why do people do that? 🕵️ We've investigated and it looks like it's because people need a change of scenery to do jobs which involve a lot of creativity. That's why it's nice to have a laptop computer: you can move around freely!